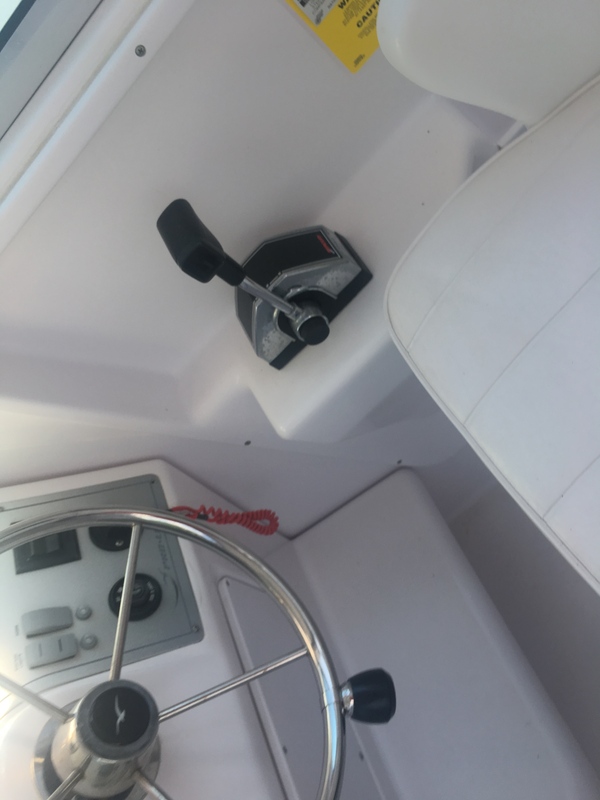 This center console is in beautiful condition and is ready to fit your fishing, or cruising needs. Designed and equipped like all Fountain fishing boats, the 23 comes standard with an anchor locker, one-piece plexi-glass windshield, a 330-quart insulated fish box, hydraulic steering, and a T-Top with electronic storage. Low hours, Lowrance HDS 10 GPS/Fish Finder Combo, and Powered by a 250 Mercury Optimax XS Outboard, this boat moves! You will be out on your favorite grounds, or anchor spot in no time! Ready to run, ready to fish, catch this great opportunity!